Does your little girl love pretending?... I'm guessing the answer is yes! How often does she pretend she's a princess... or a fairy... or a ballerina... If you answered "yes" to any of these - the you absolutely have to check out Sara Rose Tutus! Stacy at Sara Rose makes the most beautiful, well made tutus I have ever come across. 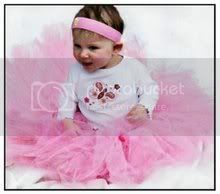 These tutus are all hand-made by Stacy, with soft tulle and non-roll elastic waists. The elastic waists are then hand tied with tons of beautiful satin ribbon... these are truly fit for a princess! Stacy made the most beautiful pink tutu for my Little Miss Lauren - when she opened that package she immediately fell in love with it! (In fact, she insisted that she take it to school for share time the next day - and all the other Moms wanted to know where she had gotten it!). 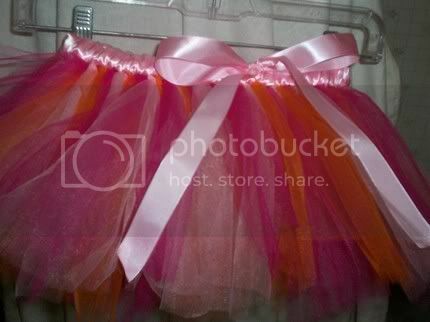 I just can't tell you enough how well made and precious these tutus are - you have to try one for yourself! Go visit Stacy at Sara Rose Tutus and she'll make a custom tutu for your little princess today - Mention Pink Lemonade and you'll receive 10% off your new tutu! These are so adorable... my girls would love them. These are beautiful! LP would love one, she's big into being a "balleena" right now.